Big baseball fan? Then you are probably all over the playoffs which started yesterday and are officially in full swing today when my Braves stomp all over the Giants on the road. 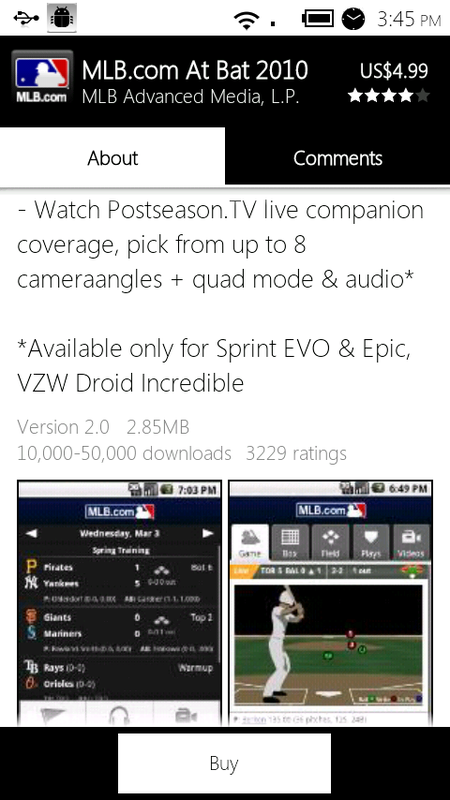 And if you can’t get to your TV to watch the action, but own an EVO, Epic or Droid Incredible, then you can pay a reduced price of $4.99 for the MLB at Bat app and watch it on the go! Nice to see an app maker reduce a price while adding a live TV feature. Mark that one on your calendar.